Away Back Home: WHAT GAME ARE YOU PLAYING? Hi everybody. I have nice news. Saying that my three new books are finally for sale. 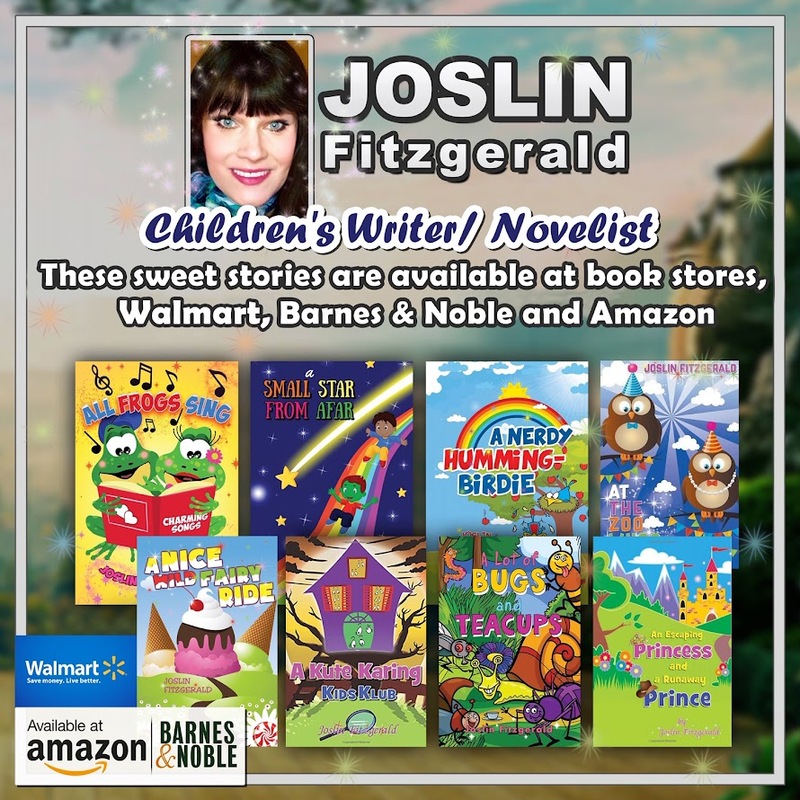 So please go to Amazon, bookstores, or joslinf.com search Joslin Fitzgerald. Then let these darling children's books with colored pictures, bless your heart. And as the cute characters delight your children the neat stories will teach valuable life lessons to those who are forever young. That means no matter your race, age, faith, or look on your face these sweet books will help everyone have a great day! "Good morning world . What game are you playing? And asking you that entertaining question again, yesterday I asked you in the games that you are playing, are you winning or losing? Yes indeed…. I agree....those are more great breath starting and heart stopping questions, because those are also more good Soul searching inquiries. That's why, with your soul at stake....you must know if you are playing the right game. So thinking a lot about your soul, while asking you those things that you must know to get you safely home... those gamey questions again have me wondering what game are you playing? That means , realizing life will always be a game of wining and loosing...while I have been wondering if you are a loser or are playing on the winning team... I like my playing ball theme. just how much we all like to play ball! So, in a rotating seasonal thought as summer begins to blend into fall, (while looking forward to the transitioning hot days changing into the cool winds again,) thinking about your soul at the beginning and the end....I will always be recalling how excited we all will be to start playing ball! And that is another important life and death blog theme. Because on Earth or in the Here After.... playing ball.... will always be very important to us going in and out of the seasons, as we are all talking about the team names, and what kind of games we are going to be playing. And since we all have favorite teams, and since we each want to be on the winning end.... it seems to be equally sweet on Earth and for your souls Happily Ever AFTER To think about what all is involved in playing ball again. I also thought I would chat about what it takes for your soul to be on the dream team. Well first of all.... if you are going to be on a team ( in order to have a ball) you need to get the call, that somebody wants you to play ball! And in that call the coach will want you to be very good at throwing the ball. Next you must also excel at catching the ball as well. Of course you will be required to be very skilled at running with the ball. And you will need to be equally proficient at protecting the ball. And life also seems to have everything to do with making the call to play ball! Then falling in that line once you decide on the game that you will be playing after getting the call , the game will always focus on Not dropping the ball! The ball game additionally will weekly spin around controlling the ball, playing with the ball, catching the ball and carrying the ball! the ball goes the wrong way! Yes in our life, while we are all playing the game of Running Out of Time....in one way or the other.... keeping our eye on the ball has everything to do with the way we play! And as we all know..... how we play the game....focuses on the Life Coach who knows our name! Because only the coach will make sure you don't fumble. Only the coach will teach you how to run. Only the coach will prepare you for the tackle. Only the coach will clue you in on what matters. Overall only the coach will make sure you know how to play ball! But wait a minute are all coaches the same? Will every coach remember your name? Do all coaches know everything about the games you are playing? And asking you those winning and losing question I only know One Coach who will teach you to keep your eye on the ball! and right now concentrating more on your soul that you are losing.....since I know the greatest Coach of all.... I realized a long time ago LIFE WILL ETERNALLY BE A LOSING GAME IF YOU ARE NOT SAVED! THAT YOU NEED TO PLAY BALL WITH JESUS FOR HEAVENS SAKE. That means, since Jesus is the only Coach who knows anything.....you must listen to what Jesus has to say about being Saved from Satan's Pain! Because knowing what game you are playing as you are learning to play ball, after you answer Heavens call, that's the only way to avoid the grave night or day after you fall. That means, as you are playing the game.... only Jesus Christ will make sure you are going the right Heavenly way! Dear Jesus, I know I have done bad things in the past, and that I have done bad things today, and that I will continue to do bad things tomorrow as I am going along my way. Yes that makes me a sinner, just like everyone else in the world every day, with all of the bad things I am doing and saying. Therefore my sins and my unhappiness are why I have come to you today, as I am silently praying, because I want to be eternally happy, and I need to be forever saved. In saying that Jesus, I believe that you were born on Christmas Day. I believe Jesus, that you lived a perfect life that is written down in the Bible to teach me what is wrong, and show me what is right. And I believe Jesus, in your love for me that you died on the Cross to save me from all of my sins day and night. Yes Jesus I believe you died, and defeated the grave as you arose from the dead on the third day. Yes I believe you are Alive forevermore and that you are living inside my heart and soul eternally night and day! Thus in believing Jesus, you are the Son of God I am asking for your forgiveness for all my sins that I know, and those I do not know that I have committed, including the ones that I will continue to daily wallow in, as I claim in Your Eternal scriptural promise in the name of the Father, Son and Holy Spirit that I am now going to heaven. Yes I claim in my new faith this very Minute that I am saved, because you died for me on the Cross, and in your arising on the third day, I know I will not go to my endless grave. In that statement that just saved my life Thank you Jesus, I am now whole since the Holy Spirit lives within my soul! Therefore in this prayer I believe that I am born again into heavens sight, and in your Biblical Promise of salvation written in the scriptures I have received everlasting life! Thus as I am asking you to change my blind darkness to guiding light you are forever my Savior, Jesus Christ. Absolutely I pray that you have accepted Jesus Christ as your eternal guiding light, and your Savior today. I know I may never meet you here on earth as we are roaming, but if you truly prayed your prayer, to Jesus requesting forgiveness of your sins, and asking for your salvation you are right now this second saved. And I will see you when we go Away back home! In saying that I also thank you for sharing in my prayers, thoughts and writing as we are going along our way as you are a huge part of my blogs heart.And I hope that you check out my web site highlighting information for Children and Adults that will give you your chance to win some FREE BOOKS! Yes I am giving some of my books away for FREE! To find out more information on how you too can join in the fun. Thank you also for your prayers and support that you are giving me daily. Please know that all of your sweet encouraging words and sweet emails are Uplifting my life, and my writing, as I too am praying for You while going along my Mary way. Follow by Email and Never Miss an Update! ARE YOU IN LABOR OR ON VACATION?